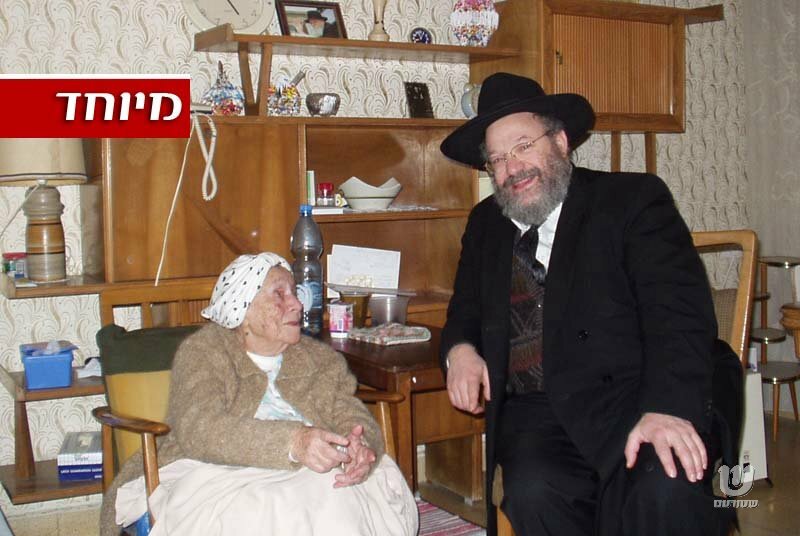 Tzila Schneersohn, wife of R' Ben-Zion, who was the brother-in-law of the Frierdige Rebbe passed away Thursday night. Who she was from home I do not know, but her husband's Yichus is simple. He was the son of HaRav Avrohom Schneersohn of Kishinev, son of HaRaHa"K R' Yisroel Noach of Niezhin, son of the Tzemach Tzedek, N"E, who wrote the Tshuves of his father. 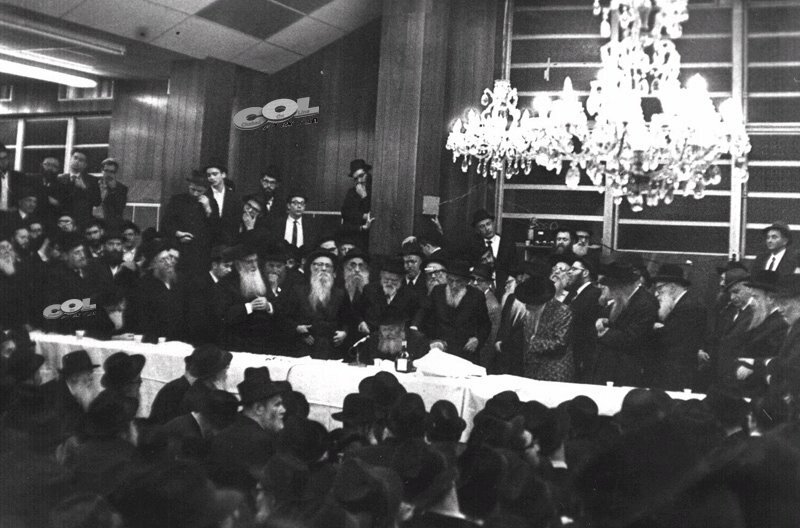 RAS attended the Rebbe's wedding in Warsaw, in 5689. 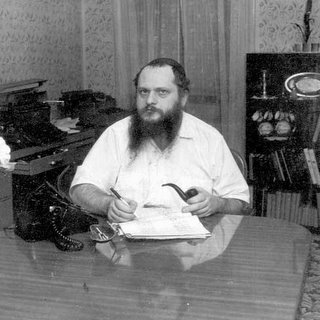 RBZS was a Talmid of YTT in Lubavitch and lived in Tel Aviv after the WWII, working as a bookkeeper. He passed away in 5736. He's pictured here a BarMitzvah celebration in Israel. 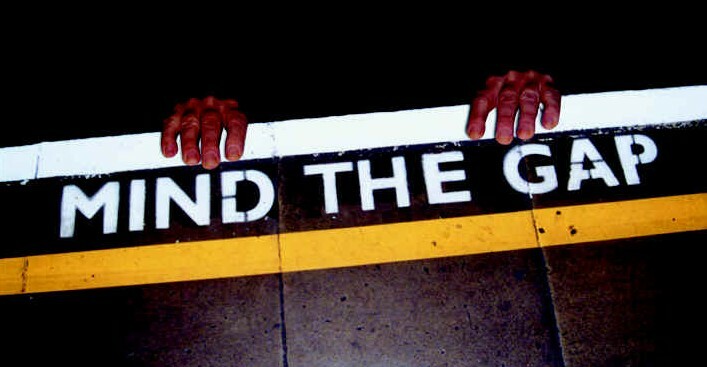 No, don't panic, it's not The Gap that's closing, you'll be able to shop there as long as you wish. 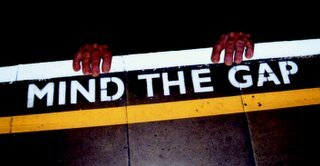 It's this Chasidic-Misnagdic gap that's closing, at least according to David Of Lakewood. He must be a real teddy bear. "FYI: Not all of them were clean shaven, although MOST of them were. But I can tell you that 99% of them grew beards and Peyos later on." "THE biggest Alter Mirrer, Harav Hagoen R' Shmuel Berenbaum Shlita (Mirrer Rosh Yeshiva) has peyos. 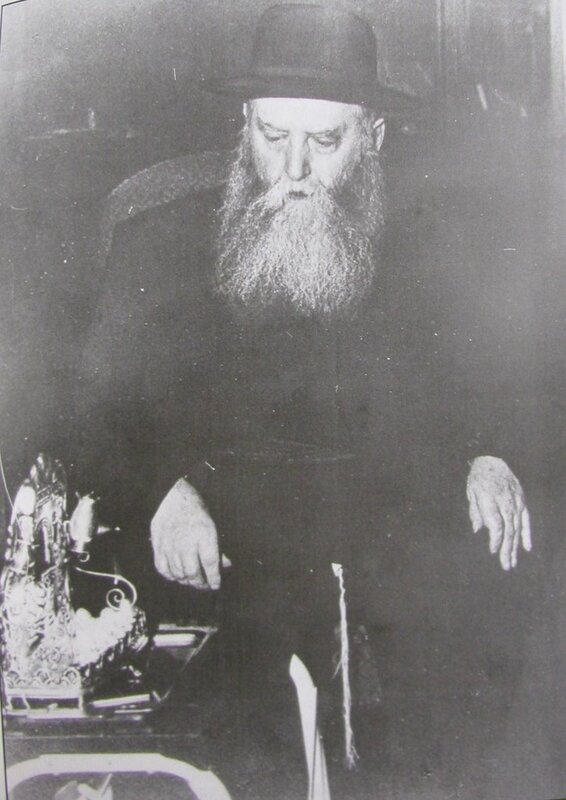 Rabbi Nachum Zev Dessler of Cleveland's "Hebrew Academy", aka Nochum Velvel, son of REED. 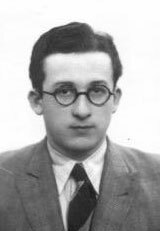 "In short, they say, that a Gerrer Bochur ran around Warsaw on the night before Succos in October 1939 dodging German bombs looking for the Esrog that the Frierdige Rebbe N"E was guarding with his life for the Brisker Rov. The Rebbe had to run from place to place to avoid the bombardment. To highlight to the reader how rare an Esrog was that year, a line of thousands of people waited outside where the Rebbe stayed in order to fulfill the Mitzvah on the first day of Succos! In actuality it was Rabbi Yosef Wineberg לאויוש"ט who was sent by the FR to deliver the Esrog to the BR. 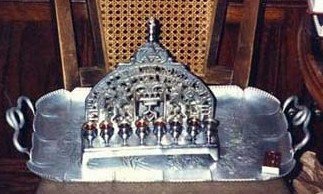 Why the Rebbe chose to give this Esrog to the BR, although there were many, many other Rabbonim and Tzaddikim in Warsaw, many more friendly to Lubavitch than the BR, who would've gladly been the recipient of this prized esrog is not something I'll venture to answer. The Rebbe had his reasons, I'm sure. My question is: Would the BR have risked his life and the life of a Talmid to do the same for the Rebbe? 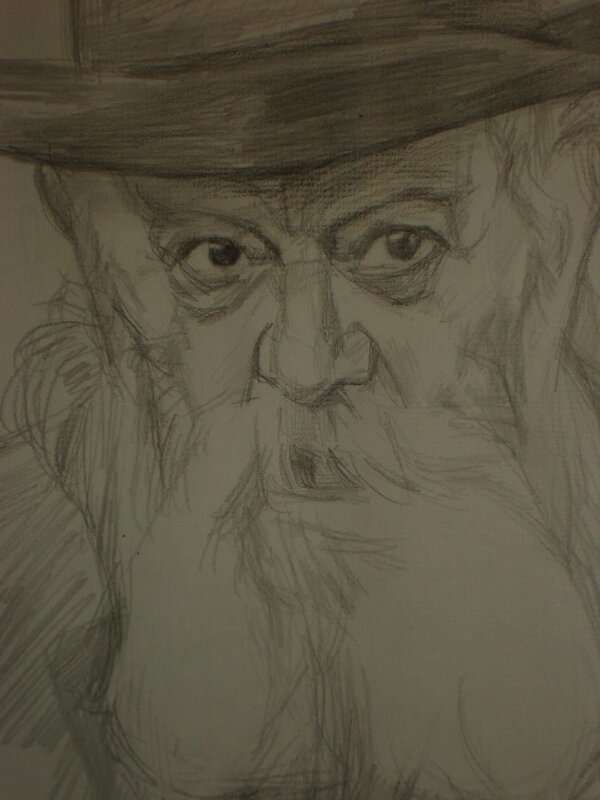 9 Kislev marks 44 years since the passing of Reb Uriel Zimmer z"l.
wrote for Lubavitch and "Der Yid" at the same time! Translated the Tanya into Yiddish. 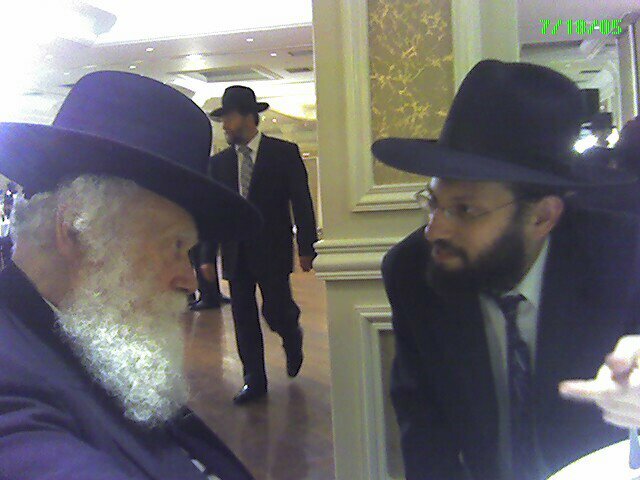 RUZ was a devoted Chossid of the Rebbe despite being so anti-State, and maybe because of that. Read an Article in The Israeli weekly "פנים אל פנים" after his passing. Thank You Shver and Shvigger. Seeing his townspeople participating in a public Menorah-lighting in Grodno, proud to be Jewish after all these years. 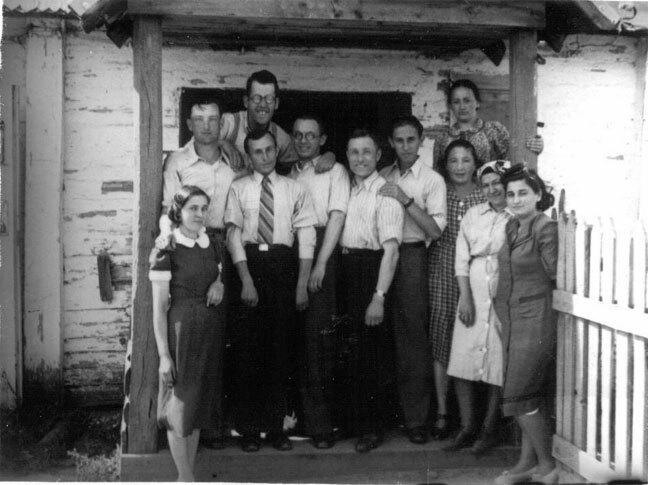 These people are probably descendants of Reb Shimon Shkop's Talmidim and Ba'alei Batim, or maybe people who arrived after the war. It's good to see that both their physical and spiritual needs are attended to. A simple aluminum (!) Menorah which the Rebbe had in his posession still from his days in Europe, and which he used until the last Chanukah in New York. Thanks to a reader who wishes to remain anonymous. This is what I had to listen to in the car tonight on the way back from Manhattan, and it was a 2 hour trip! "I don't know how to say this; but when the Rebbe was alive" etc. "They don't know how to sing Niggunim"
Son: "Totty, what does Lubavitch do today on Yat Kislev"? Man in back seat: The shluchim are in all far-flung places and they struggle BeRuchnius and BeGashmius, it's mamesh a pele! They have such Koyches! Father: "Yeeees, but they do a lot of harm in Russia to other groups who work there." You guessed it, Yeshivas Rabbeinu Chaim Berlin! And all the while the Tzig sat there and didn't say a word! This is how COL describes HaRav Mordechai Zev Gutnick z"l, father of Chaim, whose Yohrtzeit is Yud Tes Kislev. They have a few lines in which to describe the Nifter/es so they are limited. We'll try to expand on that, and with your help, will get a clearer picture. "Rabbi Mordechai Zev Gutnick, who was a talmid of Yeshivas Tomchei T’mimim in Lubavitch, and a shliach of the Rebbe Rashab and Rebbe Rayatz to Tbilisi in Georgia." "RMZG miraculously received exit visas from the U.S.S.R. and the family moved to Eretz Yisroel and settled in Tel Aviv. 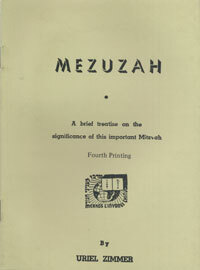 In 5687 (1927), he received an offer of a rabbinic position in England. He wrote to the Rebbe Rayatz about it and the Rebbe not only agreed to it, he did everything in his power to make sure he got the position. The Rebbe sent letters to rabbanim and chassidim urging them to put the offer into action. The Rebbe’s efforts were successful and the Gutnick family left for England." "R’ Mordechai’s hiskashrus was so strong that in the summer of 5689 (1929) he traveled to Riga in order to spend time with the Rebbe Rayatz after the latter had left Russia." 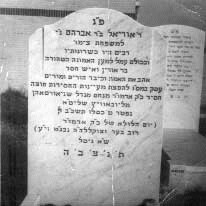 "R’ Mordechai died at the age of 34 on Yud-Tes Kislev 5692 (1932). This tragedy was devastating for Chaim, who was only ten years old. His mother then entrusted his education to the Telz rosh ha’yeshiva, who was visiting London at the time." I took out most of the references to RCG simply because I wanted to focus on his father, a largely forgotten figure in Lubavitch history. There will be time for RCG later on. 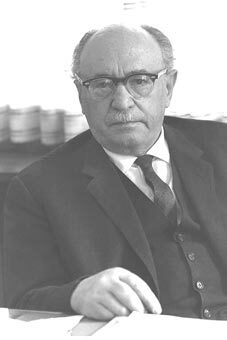 What I seem to remember is reading that RMZG contracted pneumonia by walking up and down the streets of London's East End on a cold and rainy day trying to keep Yidden from opening their shops on Shabbos. The fact that they saw the Rabbi is what kept them from doing business. Without anti-biotics to fight the illness he soon died at the young age of 34. 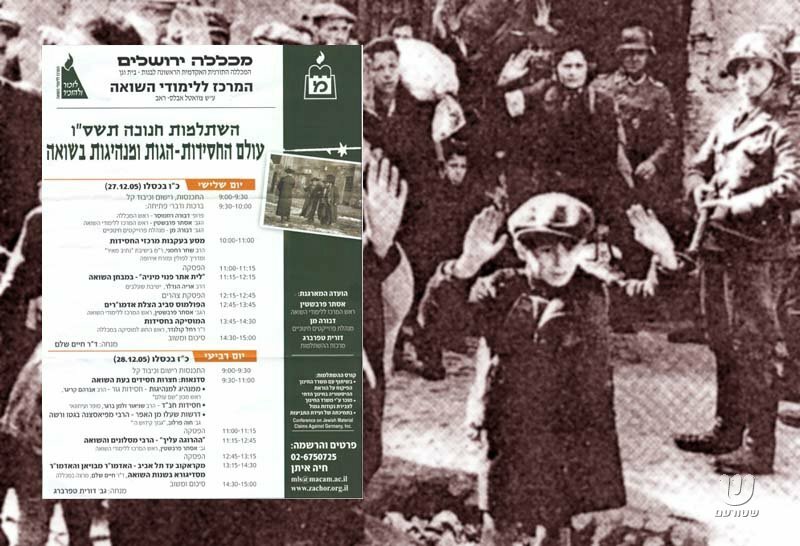 A long-overdue symposium on Chassidus and Chassidim during the Holocaust will take place in Jerusalem's Michlalah next week. Check the poster for topics discussed, it can be enlarged by clicking. It should be interesting. Lets hear what Berger (The Lubavitcher) will say about Chabad. The Tzig met his counterpart last night. It was very informative. 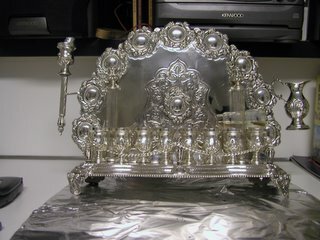 More to come soon, iy"h.
BPUnbound, what do you think? Speaking of Reb Itche Masmid, see what Chabadnik/Shturem brings, a letter bemoaning the situation at the time. 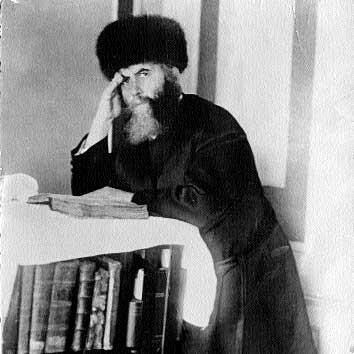 The situation in Russia had begun to be unbearable after the Rebbe Rashab's passing; not to mention the fact that the Frierdige Rebbe and his family were על סף המות. The FR also has some very strong letters to Anash, but that's not what I'd like to bring now. From Reb Itche's letter it's tough to tell when it was written, but maybe if we know when he started to travel as a בא-כח we can deduce the time of the letter. One line jumped out at me, especially knowing who it came from. How can we stand by and refrain from acting when our Rebbe is in pain? what are we and what is our life worth if we do not act on behalf of the Rebbe's house, the true house of our lives? For Reb Itche, a Yid a Chossid, a Yerei Shomayim B'Tachlis who was afraid to eat anything for fear of putting something impure in his mouth, and a Lamden Otzum, what was his life? 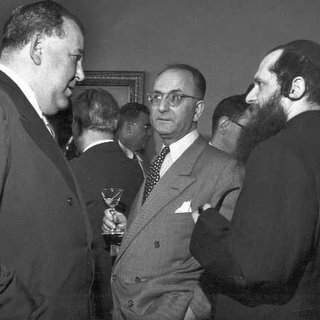 I recently finished, on your recommendation "The Rabbi of 84th Street" about Rabbi Chaskel Besser, and it highlighted a question that has troubled me for many years. From the book we see different attitudes than those of frum society today. 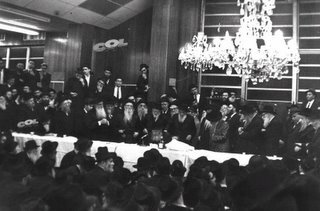 Rabbi Besser's father was an important and respected loyal chossid of the Radomsker Rebbe, yet the family was very cultured. They attended symphonies, were what you might call "broad minded", and befriended Jew and non-Jew alike. All of these things are seldom found among today's religious Jewish population. To be sure, this was not true in all areas and in all families, but do we all have to emulate Rumanian peasants? It seems to me that throughout history numerous religious Jews were knowledgeable and participated in creative art, music, or writing. For whatever reason, these pursuits have been deleted from our education or value systems. If there is a creative soul among us, they are either stifled or forced to the fringe (or worse). Oddly, however, this seems to be a recent creation; but why should it be that way? Anybody care to take a crack at it? I know I do. I wish I could find a better picture, meaning not one that appeared on the cover of the Artscroll version of his life, but that's what Google offered, so there. (What little I know about Yonason Rosenblum, that is from reading his articles, I can't believe he was the best candidate to write THE BOOK about Rav Dessler). The revision that they have done to so many Rabbonim and Roshei Yeshivah are probably some of the greatest literary crimes committed since the fall of the Soviet Union. In the case of HaRav Dessler, I can say this much : While learning in a non-Lubavitch Yehivah, the Maggid Shiur, may he be well, learned Michtav Me'Eliyahu with us every day, reading from the Sefer while we listened. That was no conincidence. He was not what you'd call a "Misnaged" but rather a Talmid of Beis Medrish Elyon in it's early years, who appreciated all Erliche Yidden, and Tanya and Chabad were part of that. 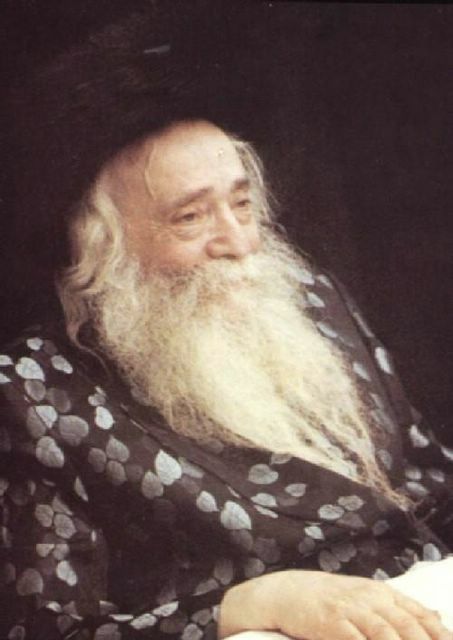 Rumor has it when the venerable Mashgiach "Reb Chatzkel", (Chatzkel Warshaver) came to Ponovezh after Rav Dessler's untimely passing, he commented: "It'll take years to "undo" the Churban that he did to the Yeshivah". That's right, to the radical Mussarites, anyone who even "noshed" from Chassidus was bad, even a grandson of the Salanter. 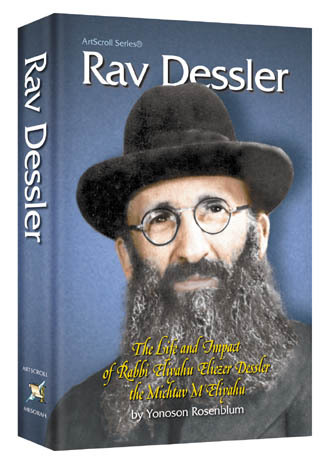 Some of you may know by now, that in 5713, a year before his passing, Rav Dessler began to work on organizing a Yeshivah that was not heard of until then. Namely, a Yeshivah that would combine the Liyvishe style of learning with the Chassidic style of everything else. A Rosh Yeshivah was found, HaRav Gedalia Hertz of Yeshivas Chidushei HaRim in Tel Aviv, but it went no further. Before it could be started HaRav Dessler passed away, and with him died his dream. Today there are Yeshivas that claim to have that combination, but without a true Litvishe Mashgiach like RD their claims are worthless. There is much more to write, but now is not the time. Maybe for the Yohrtzeit in Teves. What brought HaRav Dessler to mind was the fact that today was the Yohrtzeit of Reb Yitzchok (Itche Der Masmid) Gurevitz , who was burned al Kiddush Hashem together with Reb Chatshe Feigin and Reb Eli Chaim Althaus in Riga in 5702 (hy"d). 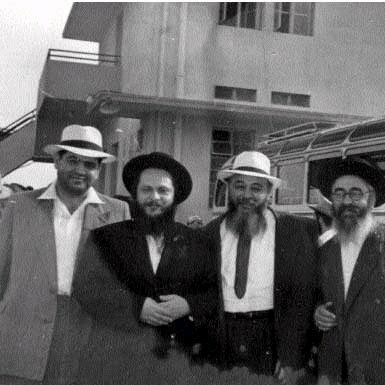 These were the Chassidim closest to the Rebbe. 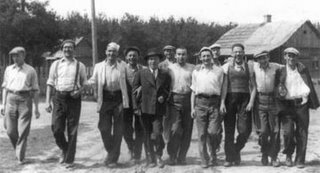 They had the necessary papers arranged by the Rebbe in New York, but the Nazis had already entered Riga and no one could leave. His son-in-law HaRav Geldzahler in his sefer "Kodshei Yehoshua" recounts how Reb Itche was the Dessler's guest in England in the '30s when Reb Itche was there to collect money for Yidden in the Soviet Union. He spent every available minute with Reb Itche and called those days הימים הכי מאושרים בחיי (his most pleasing days) He never stopped speaking about those days. This from a Yid who saw all the Litvishe "greats", and was a descendant of Rav Yisroel Lipkin of Salant. 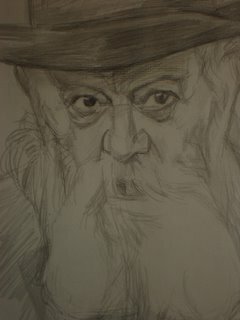 Tells you something about Chassidus, Rav Dessler, and Reb Itche. Even more so it tells you about how some of us have become so square and boxed in. 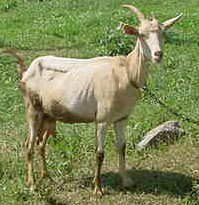 The latter is a GENUINE Ukranian goat from Sudilkov, the home of the "Degel Machne Efrayim", the Baal shem Tov's grandson, and was submitted by A Simple Jew. The former looks better, more noble. Boo-hoo they cry. Chabad yes, און מיר נישט? How dare he!!! Ya Gotta love Lautenberg's aide's attempt to speak Yiddish, it's a shandige shindig. That's Rabbi Zelig Rivkin of "Nawlins" with the President. The picture. I hope you all like it. Also, the part of the profile visible on the front page has changed, signifying my daily venture into the mundane. I've also added a new blog to my links. The situation as far as religious observance in pre-WWII Europe is no secret. 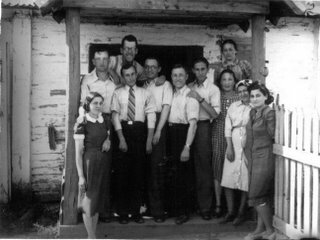 The vast majority of Jews, although Yiddish-speaking, were non-observant for the most part. Cities that we think were centers of Torah were actually centers of "culture", "enlightenment", and every social movement known to man. 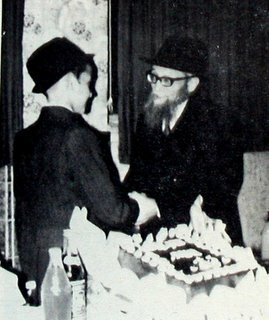 Chassidic centers were enclaves, havens from the outside secular world, and a Chassidic young man had a difficult time finding a match. As far as a human being could tell the situation was grave, Judaism was going to bankrupt soon. So, my question is, couldn't G-d find some other way of "rebuilding", according to those people? Did the pride and joy of European Jewry have to be taken down with the rebuilding project? Those that say that it was a punishment will say that the good go down with the bad when G-d brings death and destruction, but to "rebuild" Jewry it had to happen too? I read and watch anything I can get my hands on about the holocaust and the Pre-war situation as far as Jews are concerned. The loss is unimaginable, irreplaceable. I cannot believe that anybody who suffered and lost family speaks this way, it comes from those who managed to evade the suffering, but it has become "chic" to speak this way even amongst descendants of survivors. They say that it does not show a lack of concern or love for Jews, but what do I know, I don't see it that way. It seems like the main culprit in "Bug-Gate" is the esteemed Rabbi Moshe Heineman of the Star-K. He has been so kind as to announce that the salads that were deemed Verboten bore his supervision until now. There was also a relative newcomer to the supervision business, Rabbi YM Moshkovitsh, of "Shatz-Drohvitch", who had his name affixed as another Rabbinic supervisor, seemingly for the more savvy consumer who will accept only the best and most religious supervision. (If you'd see him you'd know what I mean) I would assume that Rabbi Moshkovitsh relied on the knowledge and reputation of the Star-K, just as the other "holy hechsherim" rely on the O-U and O-K for their needs. So the question is: What was the good Rabbi Heineman thinking when he put his name on the bags? Was he relying, as do most others, on leniencies that would allow it to be certified as Kosher, or was it a good old fashioned pull-the-wool-over-the-eyes of the consumer who thinks he may be overpaying but at least he's getting Super-Kosher? I won't venture to guess, but something's very wrong either way. Why was the Bug-Rabbi from Israel even allowed to open this - no pun intended - bag of worms anyway? Do American Rabbonim go and check the Kashrus of Israeli products?And if needed to be done why do it in the way it was done, i.e. publicly proclaiming them to be insect-riddled, they could've just removed it from the shelves without the public-announcements that hurt reputations and lead to incessant finger-pointing?! More importantly: will BODEK ever be scrutinized as was Fresh Express, or will the findings there take down too many "more important" people and break the public's trust completely? Anyone else out there see the posters all over the frum NY neighborhoods concerning the prohibition on produce from "Fresh Express"? Do you see a problem with it? I do. 1) One day a gentleman in Israel, who purports to be an "expert on insects in food" decides that the insect-removing process is not to his satisfaction. The fact that these products have Rabbinic supervision and are deemed to be insect-free by the supervising Rabbi did not concern him. He decided it isn't to his liking, and that's final. According to my sources he has written many books on this matter, and he basically prohibits the consumption of most fruits and vegetables because of insects. 3) Interestingly enough, days later a little poster from the makers of "Bodek" appears claiming that their product is not included in the "ban' since they do not use lettuce and some other veggie. You might say that they're just trying to save their own collective hides, or you might not. Is that the way to go about it? is it OK to destroy somebody's livelihood and lots of jobs due to shaky research and questionable Rabbinics? DO THE SUPERVISORS LOSE THEIR CREDIBILITY NOW?! Yossi Jacobson told a story last night that he heard from his Mechutan Reb Binyomin Wulliger, a confidant of the late Klausenberger Rebbe zt"l.
The Rebbe told him : רוף ר' בנימין וויליגער און זאג אים אז היינטיגע צייטען דארף מען אויפהייבען און ניט רעדן אזעלכע שארפע רייד . Leibel Groner thought that since it's a periodical that comes out every few months, and it had been printed already, and the next one is due out in a few months, that there's no reason to do this today at midnight. However, the Rebbe had other ideas. The Rebbe told him "call him now, this calls for him to be woken even at this late hour". Groner did as he was told and calls Wulliger, who was already asleep, and tells him the Rebbe's message. Wulliger is incredulous, he can't believe his ears. He asks: The Rebbe told you to call me now? "yes" was the answer. He says that today we must speak in an uplifting manner. "This is a true Manhig Yisroel" he says, He sits late at night and thinks about people that are not in his immediate circle who are Yereim VeShleimim and can "take" such talk. Yet, he still sees it as being too harsh for today's times and makes a point of letting them know immediately. Such love for a people is usually reciprocated with love shown towards the Rebbe. Look at the picture, click on it for a larger image, and see who stands out a bit. See if you can figure it who it is. Hint: he's not wearing a Shtreimel.